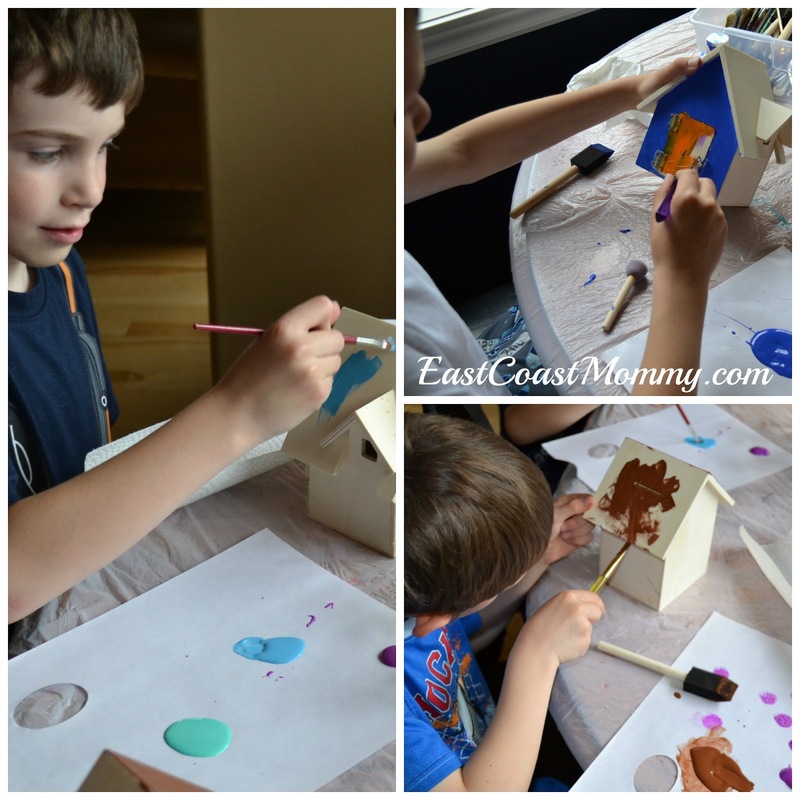 I teach a weekly class of 3 and 4 year olds, and each week we have a fun Preschool theme. Today I am sharing three easy and inexpensive Fall crafts that Preschoolers are guaranteed to love! 1) Cut the centre out of a paper plate. 2) Cut several one-inch tissue paper squares in lovely fall colors. 3) Have the Preschooler crumple the squares of tissue paper, dip them in white glue, and attach them to the paper plate. Continue until the entire plate is covered. 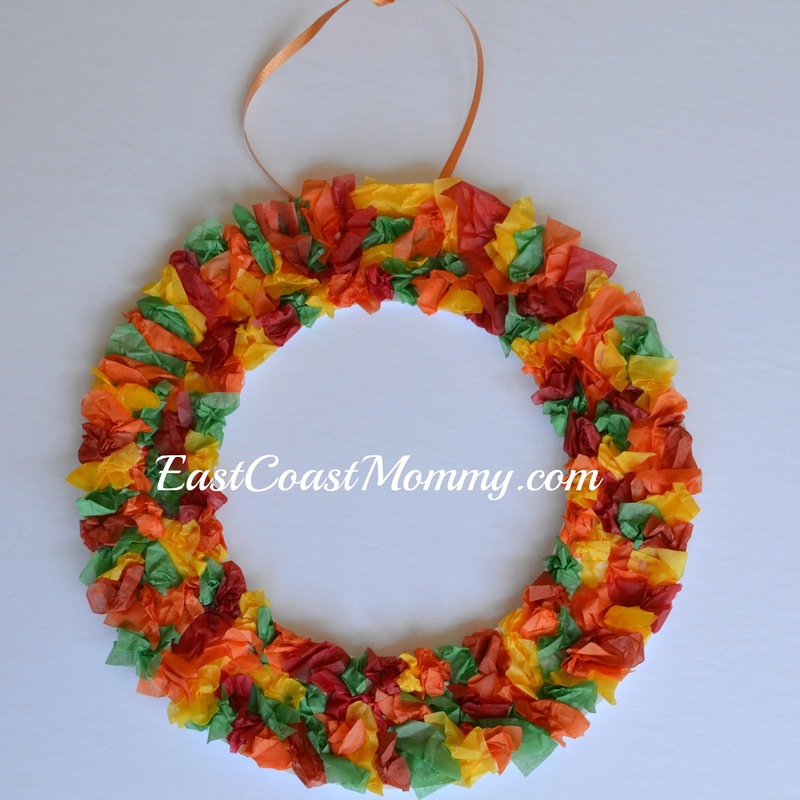 4) Punch a hole in the top of the wreath, and insert a ribbon for hanging. 1) Attach a button to the bottom of a pipe cleaner (to prevent the Cheerios from falling off). 2) Have the Preschooler thread Cheerios onto the pipe cleaner. 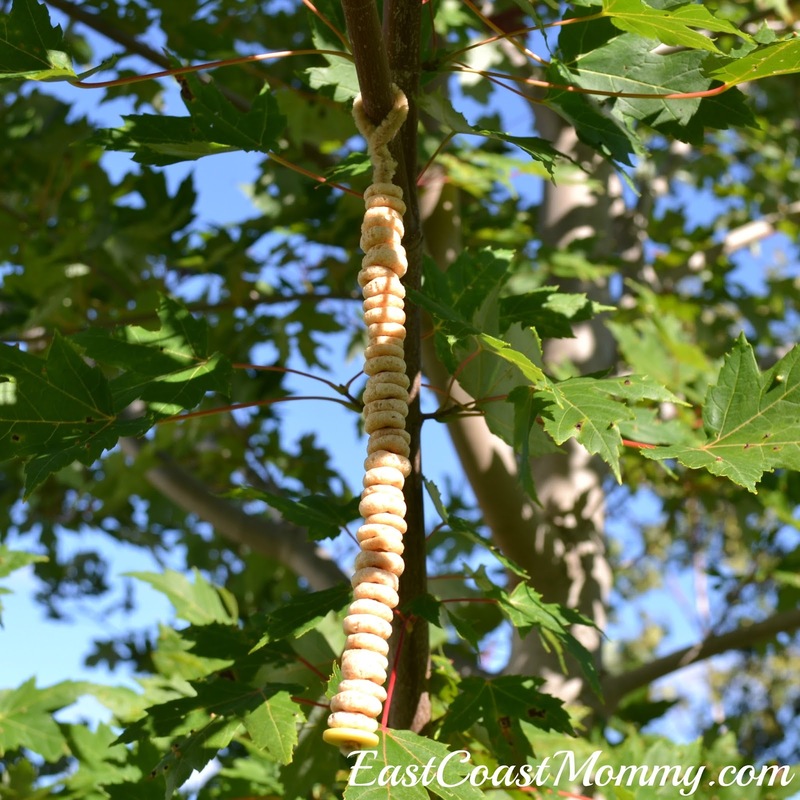 3) Make a loop at the top of the pipe cleaner, and hang in a tree for the birds to enjoy. 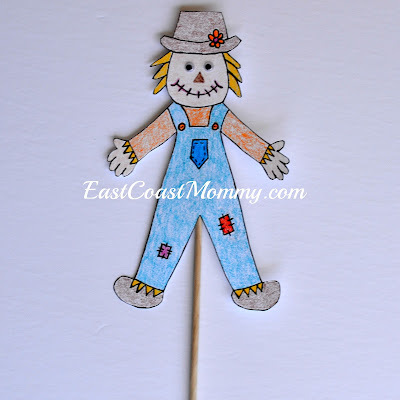 2) Have the Preschooler color the puppet, and use glue to attach two googly eyes. 3) Cut out the puppet. 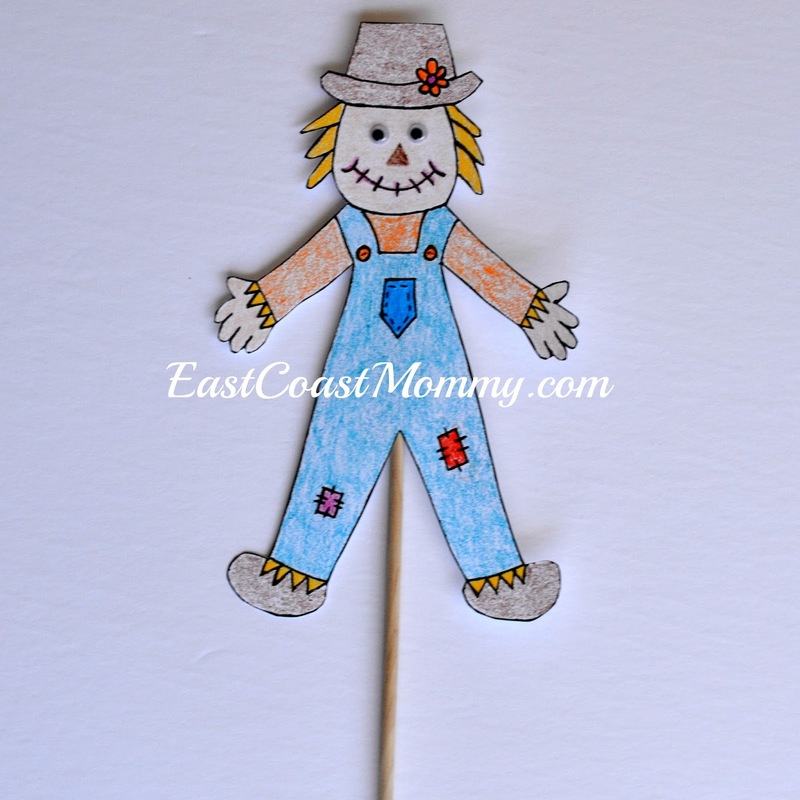 4) Use tape to attach a dowel or craft stick to the back of the puppet. 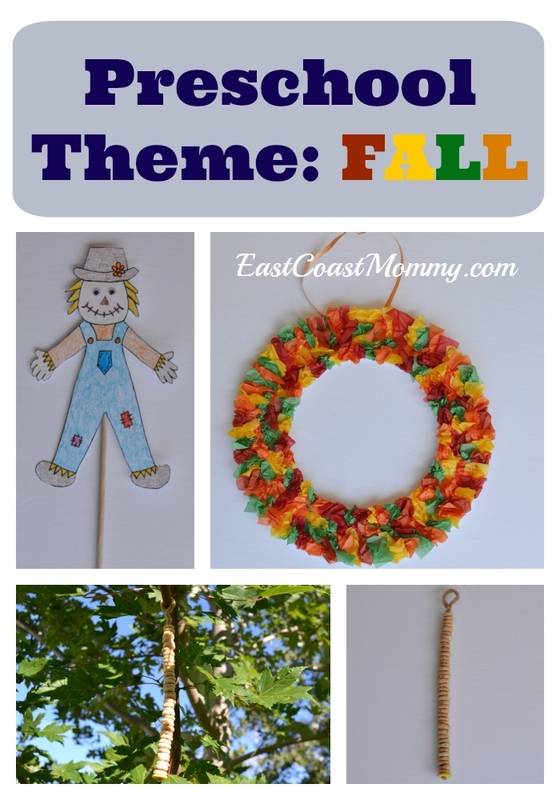 Aren't these three Fall crafts totally adorable? 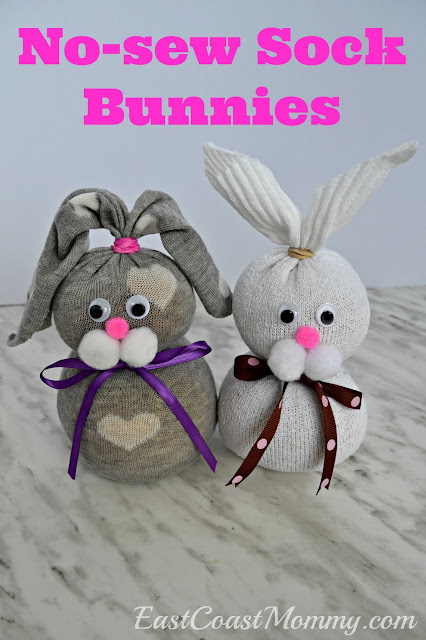 I think they are perfect for Preschoolers (and older kids too). What's your favorite thing about Fall? This simple craft is a fantastic way to spend an afternoon and a wonderful way to embrace a little childhood magic. 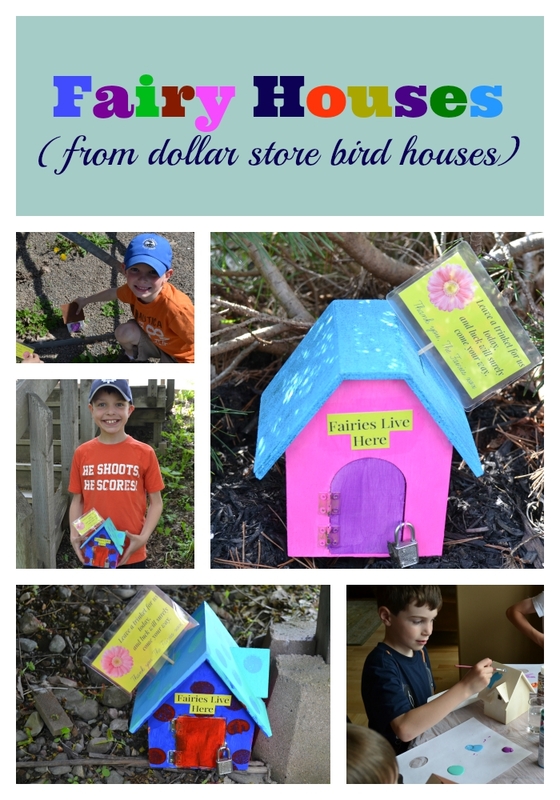 Who wouldn't love to make (or find) a delightful fairy house (made from a dollar store bird house)? ... and the best part was what we did with them. We started with some dollar store bird houses and paint. 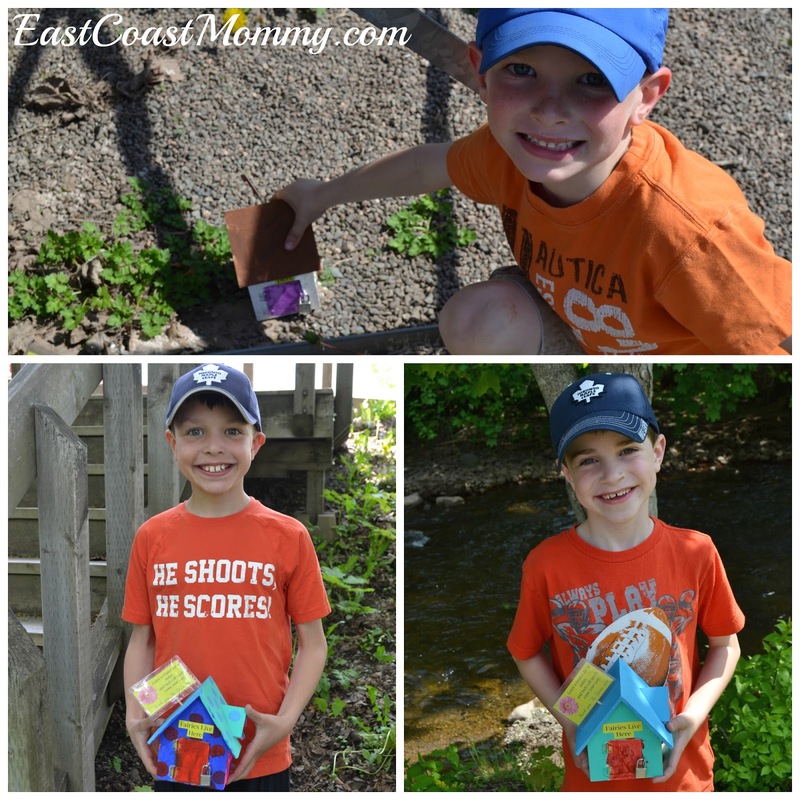 I set everything up, and my boys came up with their own fairy house designs. 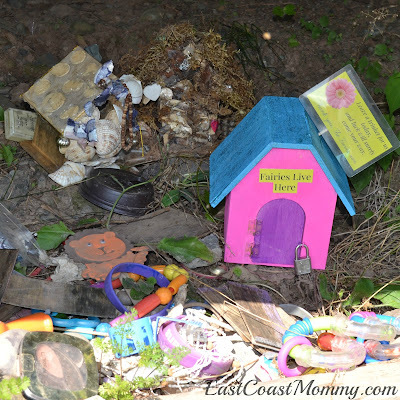 We added "a fairy lives here" signs to the front of the houses with Mod Podge, and sprayed them with outdoor sealer to protect them from the elements. Then, we secretly placed them in different parts of our town. Later, we returned to the site where we had placed one of our houses, and we found two new houses (that someone else had made), and some trinkets that people had left behind for the fairies. My boys had a fantastic afternoon painting their houses and "playing spy" as they secretly tried to place their houses without anyone seeing them. Pretty fun, right? If you read this blog on a regular basis, you know that I love an easy and inexpensive DIY party. I feel that putting a little time and effort into party details really makes a party feel special. 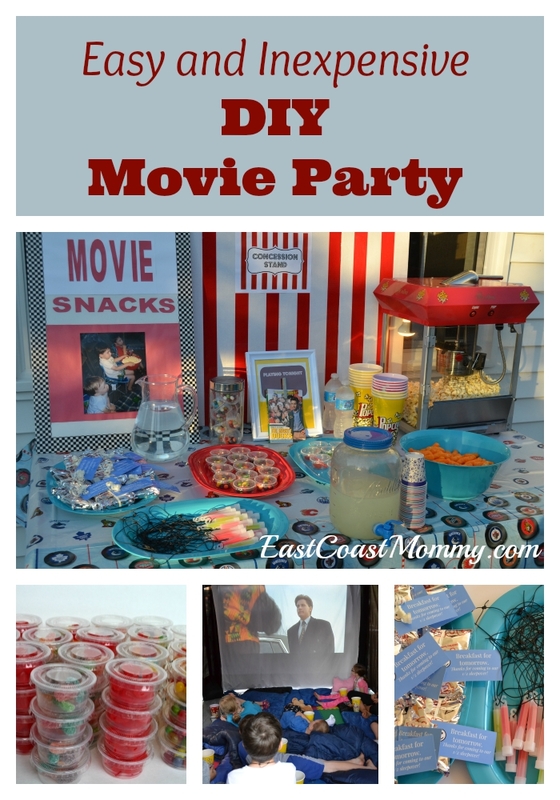 Today I am sharing a few tips for throwing an awesome DIY movie party. First, it is important to set the stage with a little DIY decor. 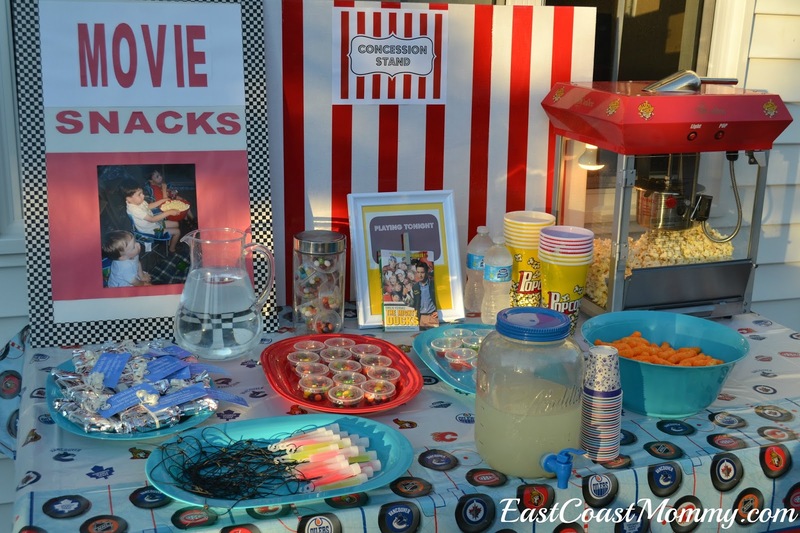 I made some simple signs using foam core and duct tape, covered a table with a tablecloth that went with the theme of our movie (which was Mighty Ducks), and set out some treats and party favors. Making guests comfortable is key. We invited out guests to wear PJs and bring pillows and sleeping bags. A party also needs some fun treats. We made some popcorn, and served treats in little condiment containers. The kids had a fantastic time picking out their favorite goodies at our concession stand. And, of course, every guest needs to leave a party with a party favor. We had an outdoor movie, so we gave out glow sticks. 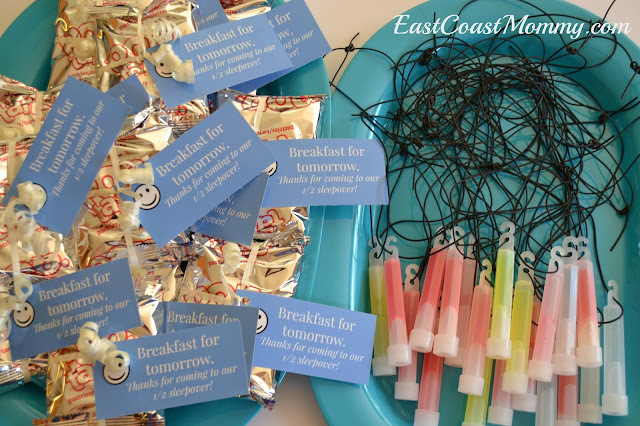 We also had a "half sleepover" theme, so we gave out poptarts with "breakfast for tomorrow" tags. 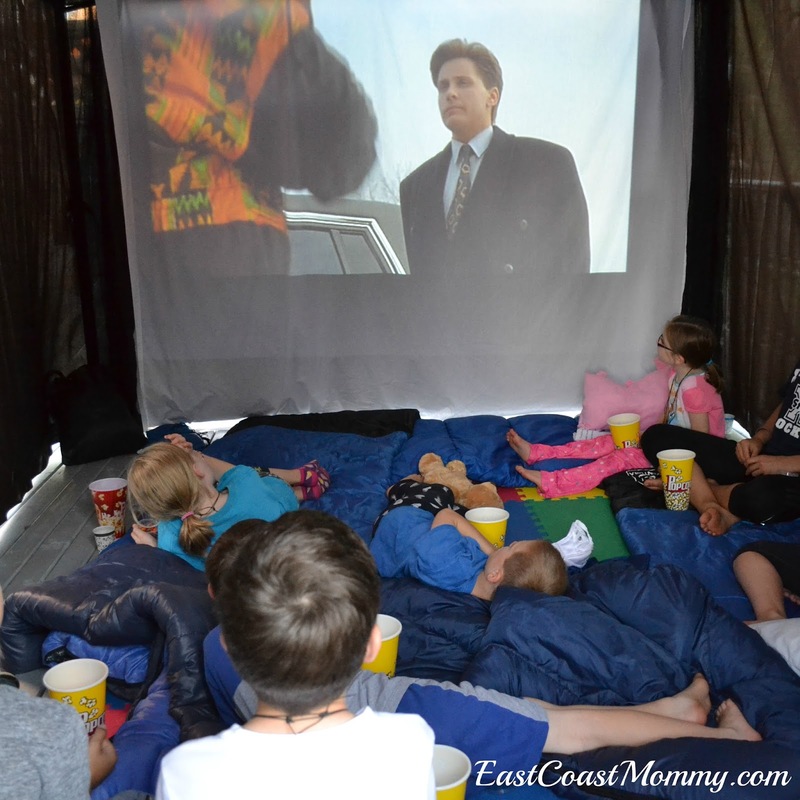 A movie theme is perfect for family movie night, a birthday party, or a special night with friends. This is an annual event for us, and my boys and their guests always have a wonderful time. We can't wait to do it again next year! The stress of managing after school snacks, homework, supper, extra curricular activities, and bedtime routines can be enough to send parents to the brink of insanity. September always leaves me feeling anxious and overwhelmed. Today, I am sharing a few tips that I find helpful this time of year. 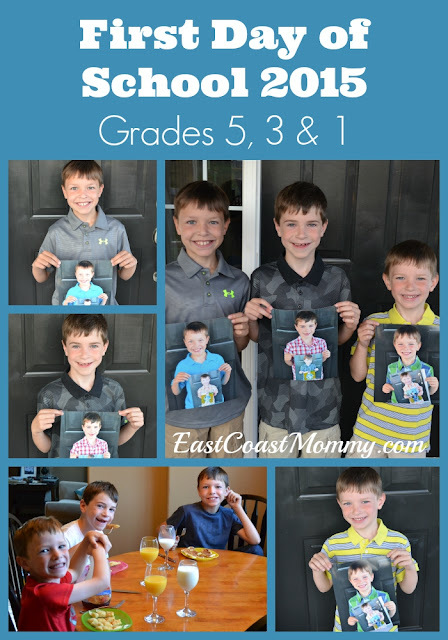 1) Don't over-schedule your family -- This is tough for me because I have three boys that want to be in everything! However... in order to cope, children and parents need to work together to choose extra curricular activities and a schedule that is manageable. 2) Use a family calendar -- I could not function without the calendar on the inside of my kitchen cupboard. 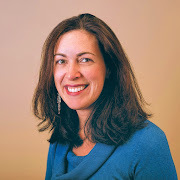 I use it to record everything I need to know about the schedules of everyone in my family – including appointments, gym days, theme days at school, meetings, extra-curricular activities, family birthdays, vacation plans, work deadlines, and more. I would be absolutely lost without the ability to glance at my calendar every morning and see the day’s agenda. 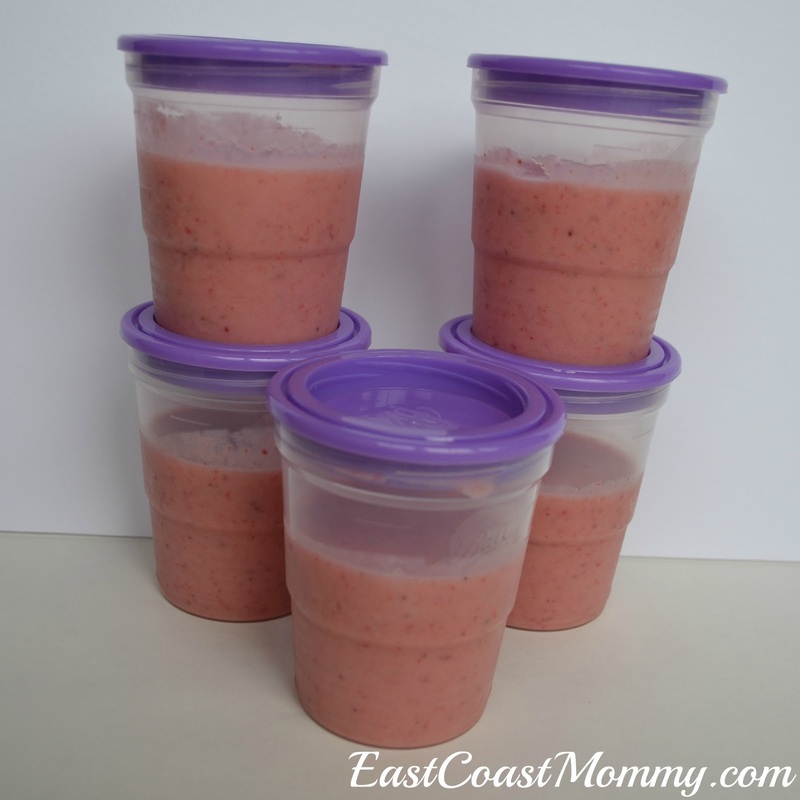 3) Plan weeknight meals -- I like to plan a weeks worth of meals and do most of my shopping on Sunday. 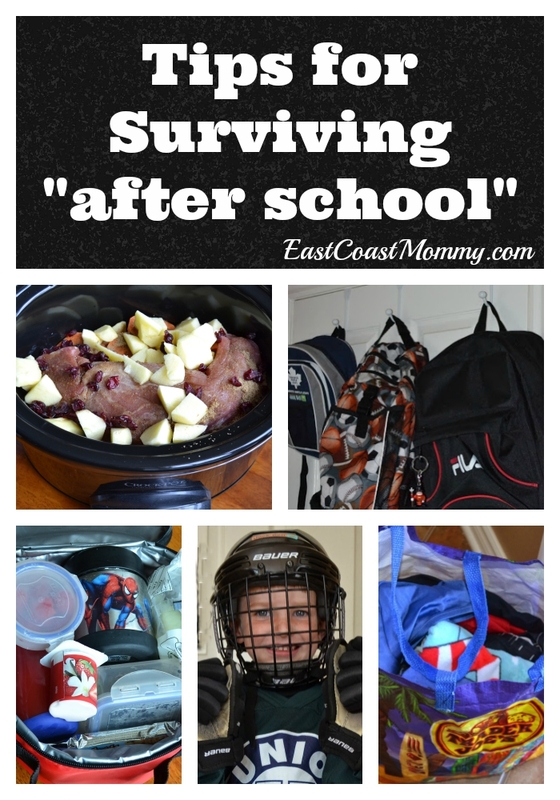 I also use my slow cooker, prep meals in the morning, and have things in the freezer for the really busy nights. 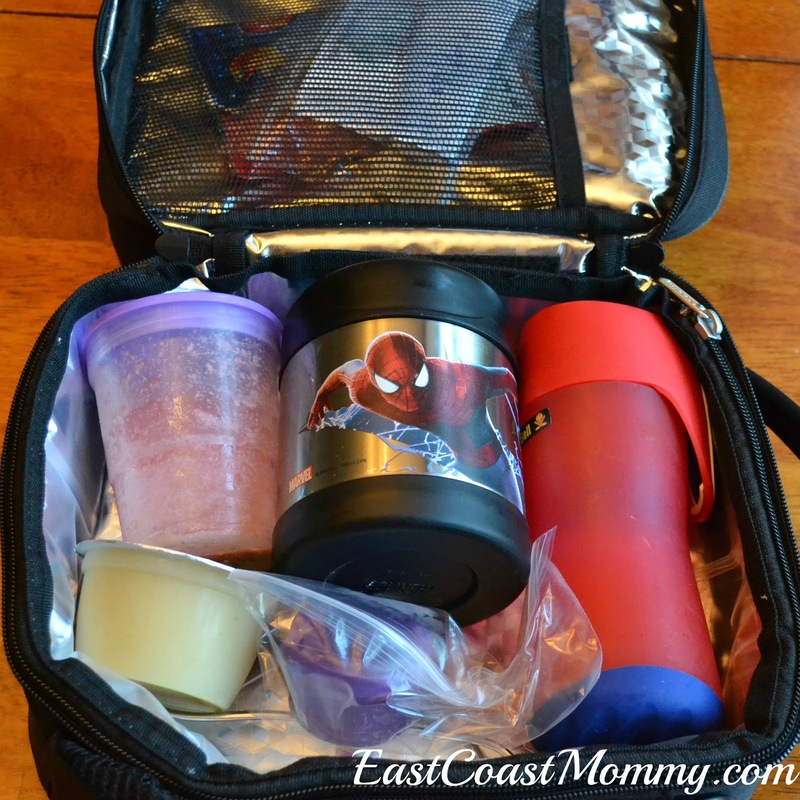 4) Pack a bag of healthy snacks and water -- I like to pack almonds, fruit, cheese strings, sandwiches, and yogurt tubes. Everyone is in better cheer with a full belly, and there is no temptation to grab fast food or over-priced junk out of a vending machine. 5) Use “Ready to Go” bags -- Pack bags containing everything needed for particular activities. For example, after every swimming lesson, I wash my boys’ bathing suits and towels and put them right back into the “swim bag”. This way, I am not scrambling to find things every time we head out the door. 6) Do homework "on the go" -- Packing homework and books is also helpful, especially when children are being dragged to the activities of their siblings. Getting homework done before supper makes life a lot easier. 7) Make sure everyone gets enough sleep -- It is sometimes a struggle, but I try very hard to adhere to strict and consistent bed times. It has been my experience that well rested children are much easier to get along with. Trying to get back into a routine this time of year can be really tough, but investing time getting organized can really pay off. Do you have any tips for taming the after-school chaos? I can use all the help I can get! I love a clever idea that solves a problem, don't you? Recently... my problem was that my 8 year loved doing large puzzles, but doing them on the kitchen table was a pain because it took him several days to complete a puzzle and we needed the table for eating and doing homework. We needed a puzzle surface that we could move around. 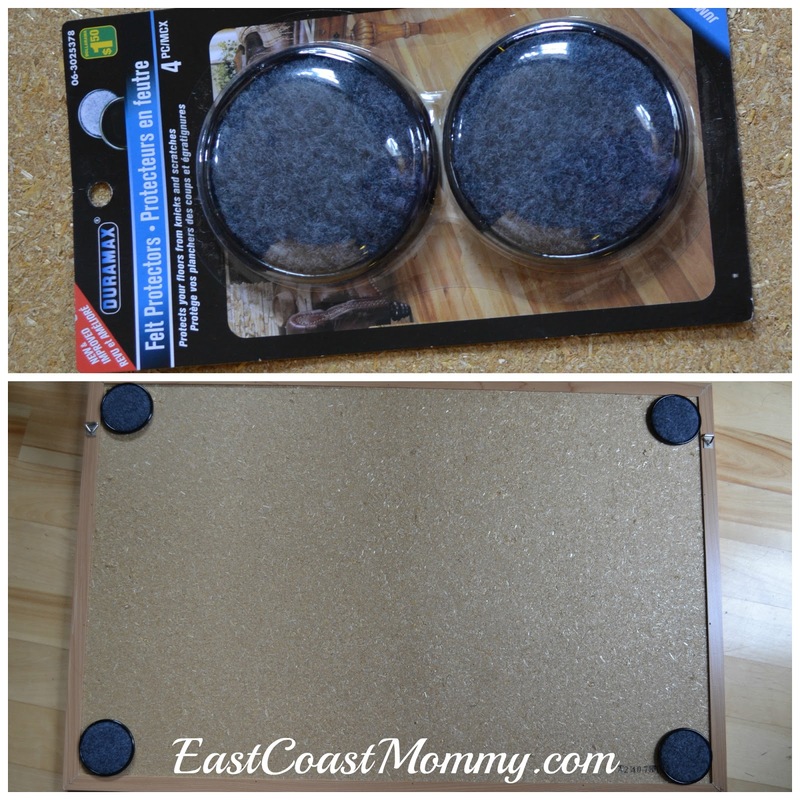 We started with an old cork board that used to hang in our playroom. 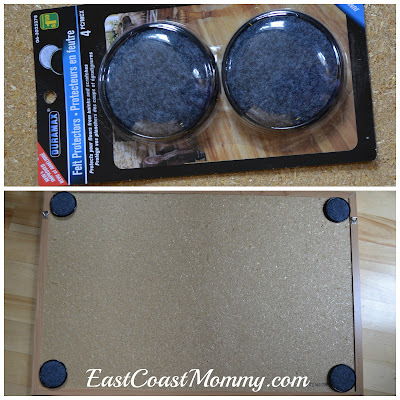 Then, we purchased some felt castors from the dollar store, and we attached them to the back of the cork board with hot glue. 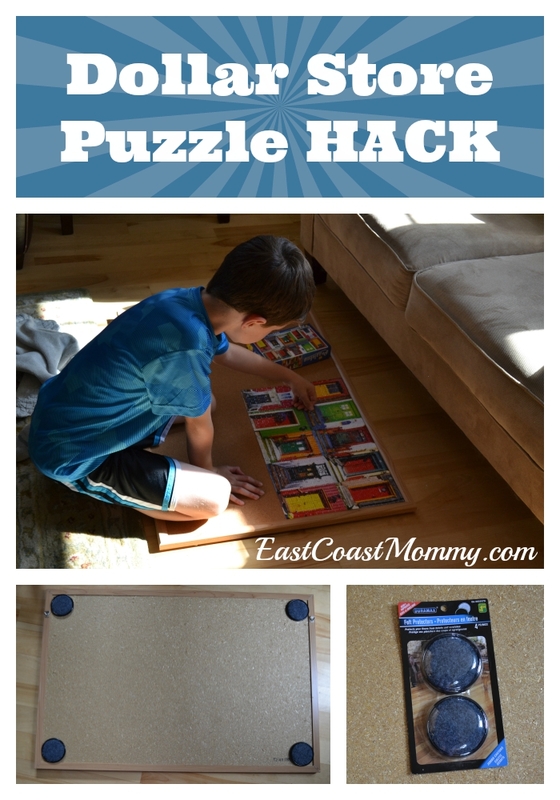 Now we have a puzzle surface that we can set on top of our kitchen table, leave on the floor, or slide under our couch for storage. 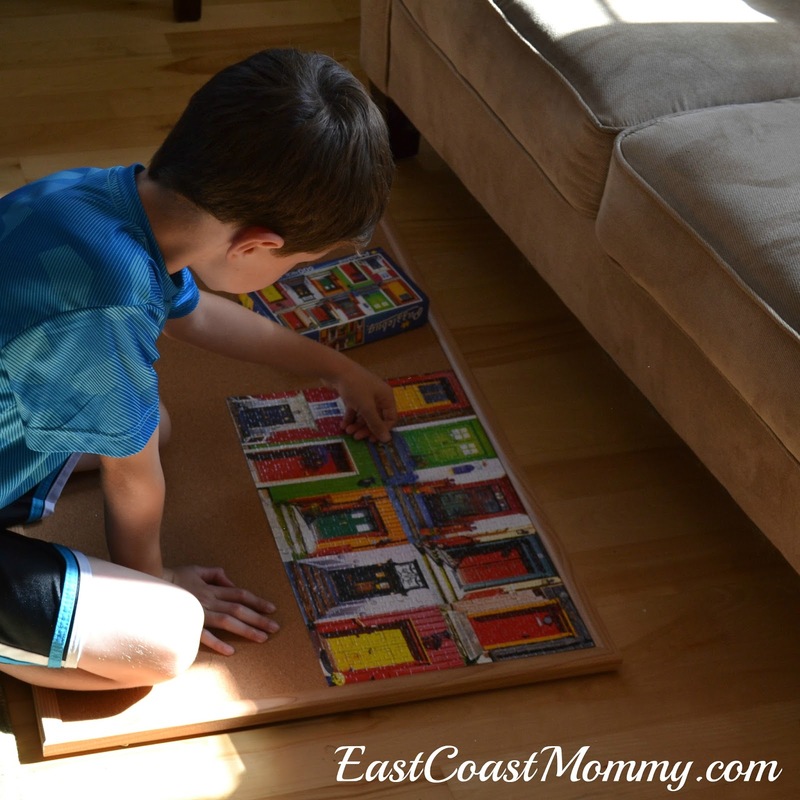 I absolutely love our new dollar store puzzle solution. We just purchased our second 500 piece puzzle, and my son and I can't wait to get started. Yesterday was my boys' first day of school, and I promised to make them a special after school snack. 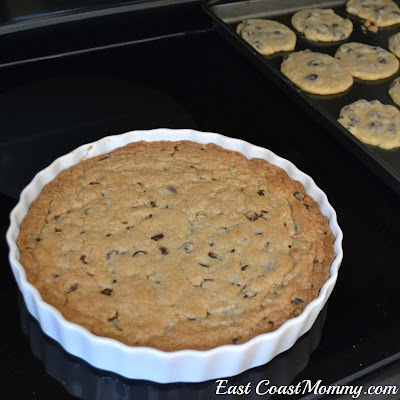 They LOVE chocolate chip cookies, so I thought it would be fun to make them a giant chocolate chip cookie. 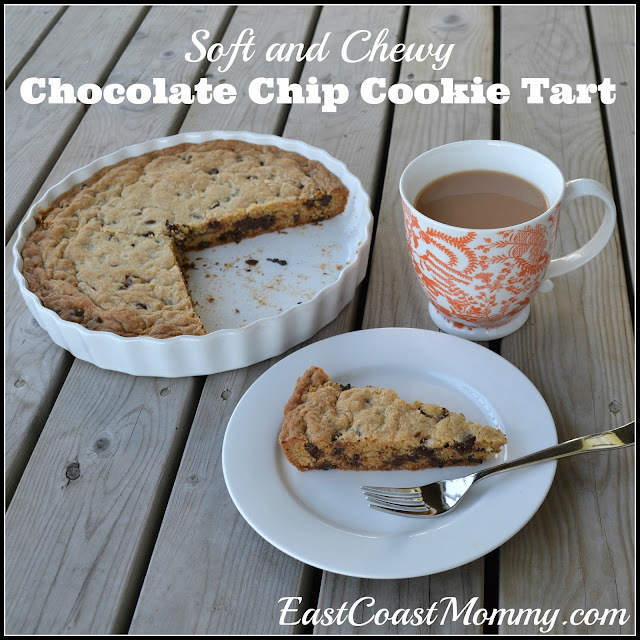 Today, I am sharing my recipe for a delicious, soft and chewy chocolate chip cookie tart. To make this easy and impressive cookie tart... start with my favorite soft and chewy chocolate chip cookie recipe (which you can find here). Then, scoop out a dozen cookies, and press the rest of the cookie dough into a well-greased tart pan. I cooked my chocolate chip cookie tart for at 325 degrees for 45 minutes... but I would suggest 40-50 minutes (depending on your oven). 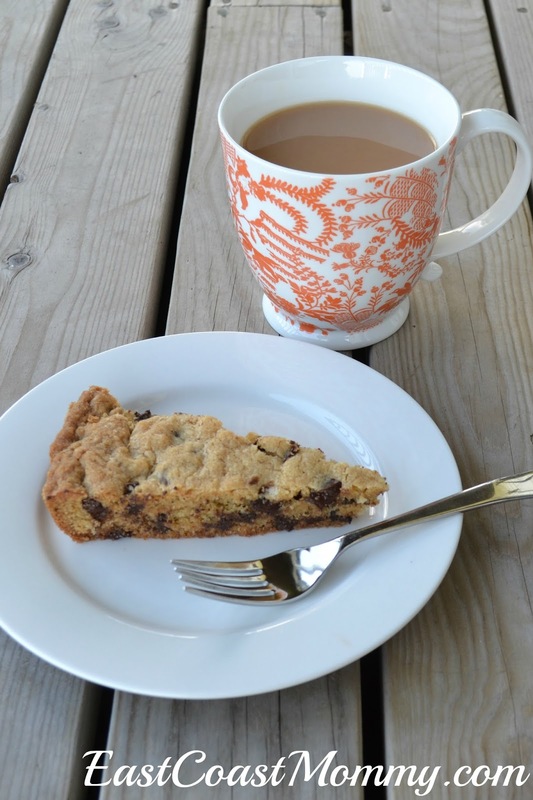 This giant cookie was a huge hit with my boys. It makes a fantastic after school snack, and is perfect with a glass of cold milk or a hot cup of tea or coffee. 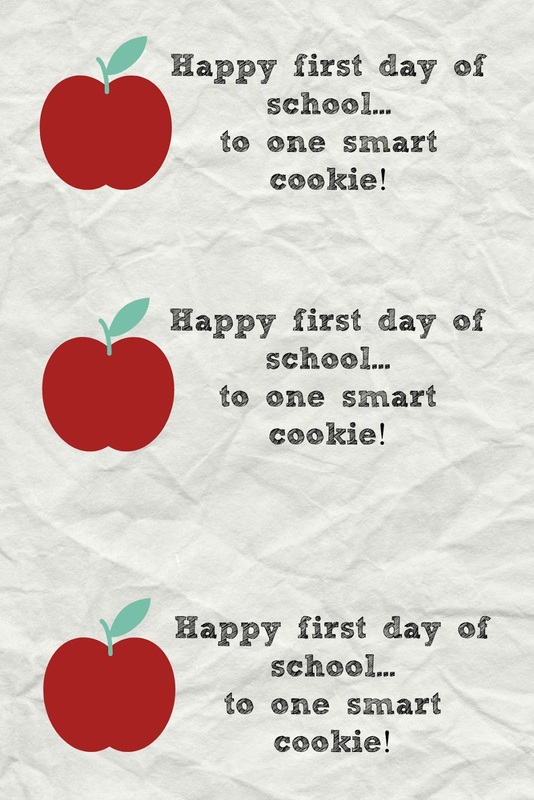 The first day of school is a huge milestone for kids, and in our house, we always mark the occasion with a few family traditions. This year was no exception. We always start the day with a special breakfast... pancakes and drinks in fancy glasses. Then, we get ready for school, and I get the boys to pose for pictures holding pictures from the year before. The boys are always excited to look back at how much they have changed from the previous year. After the pictures, the boys head for the bus, and I meet them at their school and help them find their classes. They always bring treats for their friends and treats for their teachers. Finally, when the school day is over, we always have a special after school treat. I love sitting around the kitchen table, eating cookies, and talking about the boys' day. 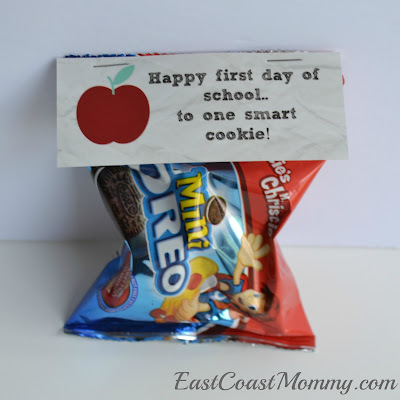 Do you have special first day of school traditions? 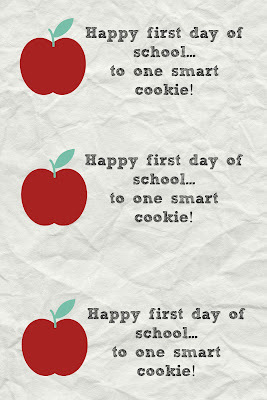 It's a sad day for me, and it is hard to say good bye to summer, but making the first day of school a fun occasion helps us get through! 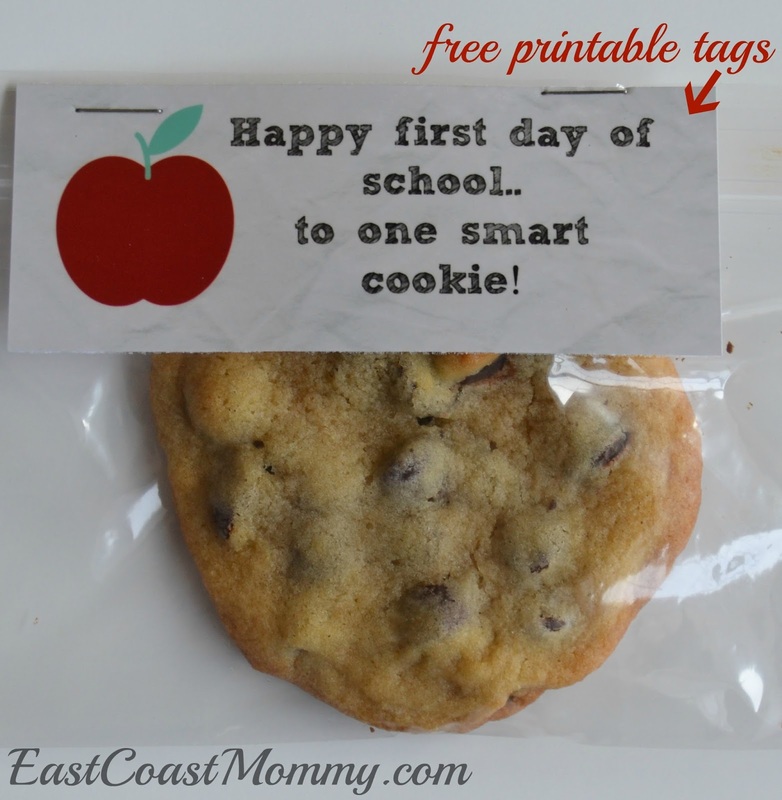 The first day of school is a big deal for kids, so I always like to pop an extra special treat in each of my boys lunch boxes. This year, I made their favorite chocolate chip cookies, and added a cute little note. The note would be cute attached to a pre-packaged snack too. In fact, I put together a bunch for my boys' to take to school on the first day to share with their friends. Cute, right? 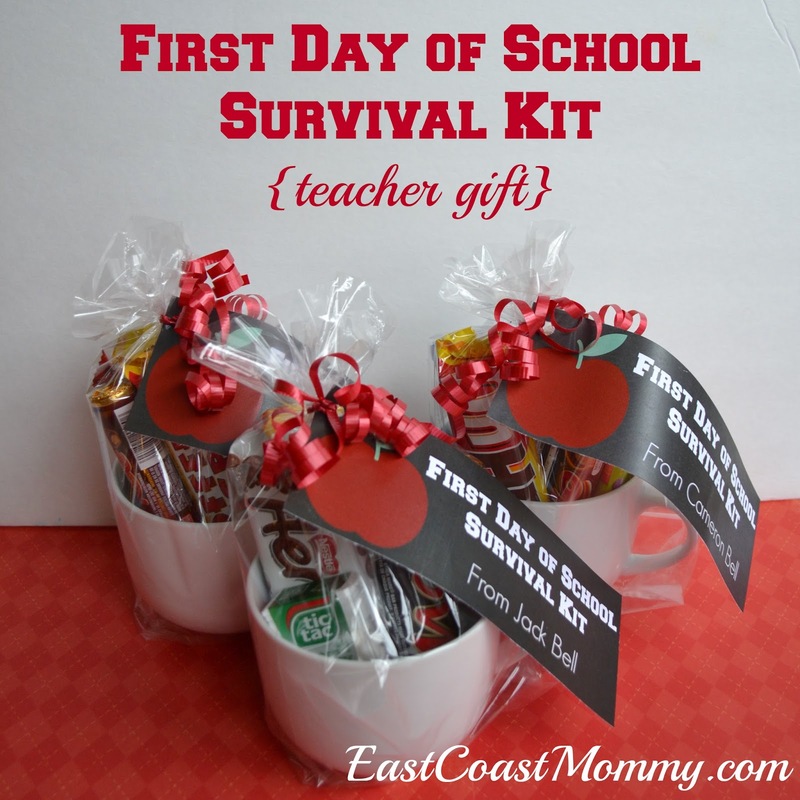 This is an easy and inexpensive way to make the first day of school special. 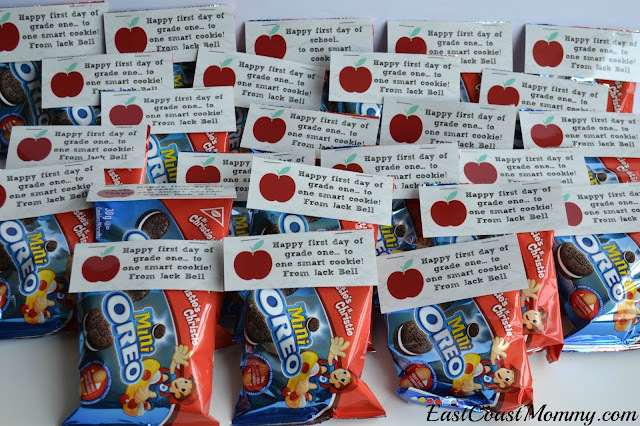 I love the idea of my boys passing out little treats to their classmates on the first day of school. If you would like to do this for your little ones, you can download the tags for free by: right-clicking on the picture below, saving it to your computer, and printing it like a regular 4X6 photo. Isn't this a cute treat for the first day of school? 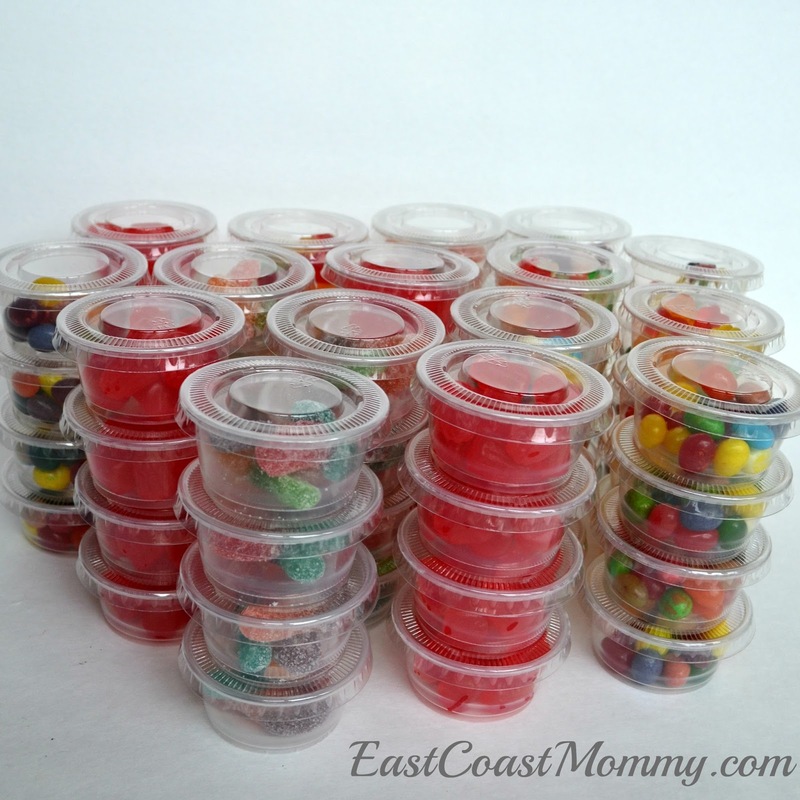 What special "goodie" did your little one request in his/her lunchbox?